How to send Unicode custom by CSV? To prepare your CSV file, open your excel file and put the desired data like mobile number, name and message as per your requirement. 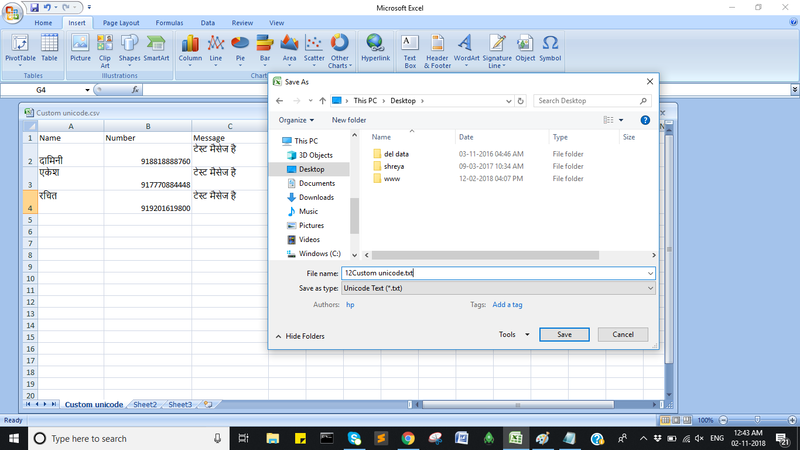 In your Excel workbook, switch to the File tab, and then click on Save As and save as type format in Unicode Text and save the file with .csv extension by removing .txt. 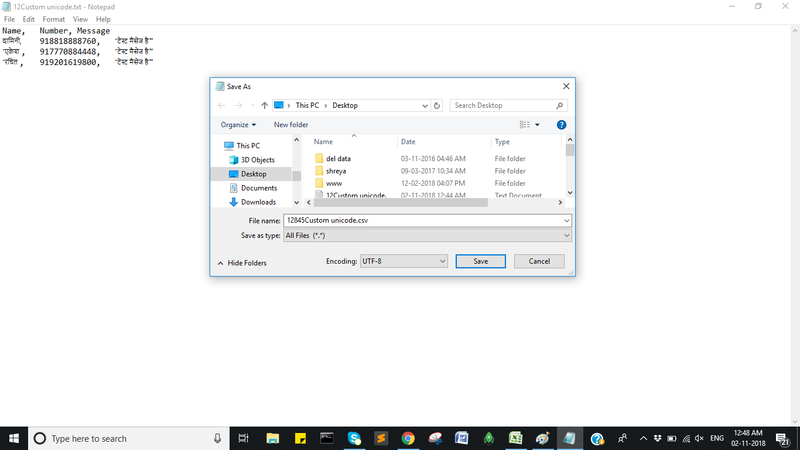 Open your file with notepad and comma sperate the fields then save it as a type "All files" and choose encoding "UTF-8" then click on save and then the extension will be .csv. Your CSV is ready to send the Unicode SMS just upload it to the panel.